Headed up by Mia McKenzie, The PAW Project is a uniquely Australian effort designed to offer information, consultation and support to those organisations and individuals interested in learning about and applying practical and effective low/no kill animal management and welfare strategies. By sheer definition there is a vast difference between killing and euthanasia. The death of dogs due to ‘overcrowding’ in a shelter would be killing. Conversely, if a very old dog that is in ill health and has suffered severe injuries it may be considered euthanasia if ending that dog’s life on compassionate grounds. Mia is in close communication with a wide variety of folks from the global No Kill community and travels abroad regularly to ensure she stays up to date with how intelligent folks from all over the world are doing what they can to reduce the killing of companion animals. Mia is committed to seeing the broad scale implementation of pragmatic, science driven, fact based animal welfare policy implemented in a fashion that empowers communities and encourages personal responsibility. The PAW Project is at the forefront of ongoing efforts to foster intelligent discussion amongst opinion and decision makers in the animal welfare and management space. The PAW Project offers a variety of consultative and educational services to the Australian rescue, shelter, foster and pound communities. As part of this commitment they provide ready access to, and promote understanding of, sound information, statistics and programs that will improve animal welfare and community safety outcomes. 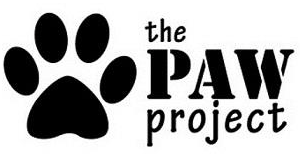 Please take some time to check out their site by clicking on their logo and learn more about The PAW Project.